SNAG is an international band with members from around the world. The music is an eclectic blend of jazz, South American rhythms and folk themes with popular western music influences. Their original compositions reflect a broad diversity, from thematic based Ornette Coleman-type tunes to Nordic influenced mood pieces. SNAG’s debut CD, Hey, Guess What?, recorded July ‘97 in Switzerland and officially launched at Moods Jazz Club (Zurich) June ‘98, is available in Australia on Jazzhead Records. Their follow up album, heaps [link here] was recorded in ’98 and released in ’99. 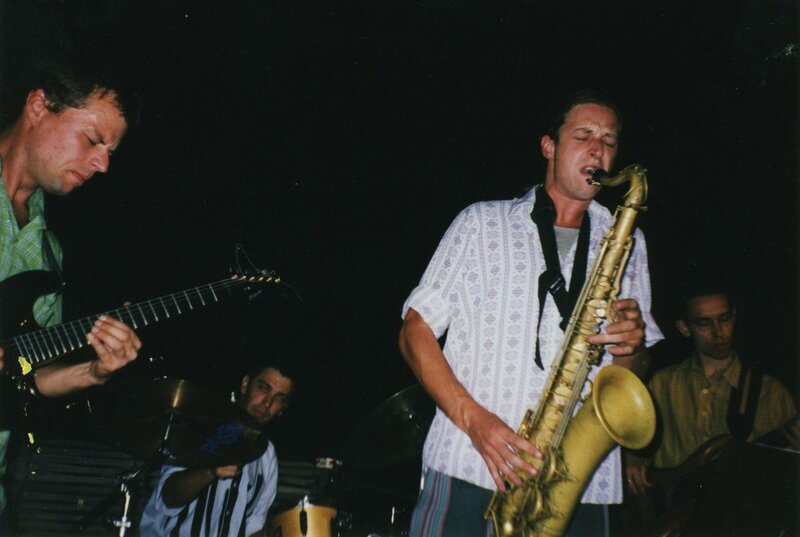 They toured Europe every summer between 1997 to 2001 and toured Australia in 1999 & 2001, culminating in a recording at the ABC Studio’s in Melbourne that remains unreleased, and an unofficially released album recorded live at the Wangaratta Jazz Festival. “OVER THE RAINBOW Three continents, even more musical styles and yet harmonious: . . .Jazz is an international music form and the quartet SNAG proves it . . . Categories like Jazz, Rock, or others do not do justice to their music. . . . the musical concepts of Ornette Coleman are as present as those of pop music icon Björk, as well as South American rhythms and a homage to master bassist Charles Mingus. It is a tribute to SNAG that this ride across the musical rainbow . . . . . . actually results in forming a musical identity. Whoever had the chance to hear SNAG live, as I did recently at “Moods” in Zurich, will listen to the CD with different ears. The feeling of joyful abandon and excitement coming from the stage during the live concert is replaced by a controlled coolness on the studio recording. But whether cool or hot the moods are what count. And they are intensive indeed”.